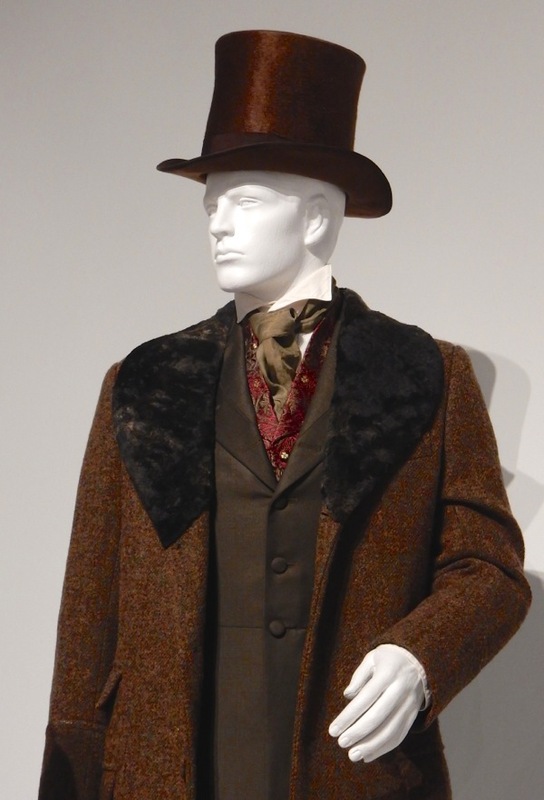 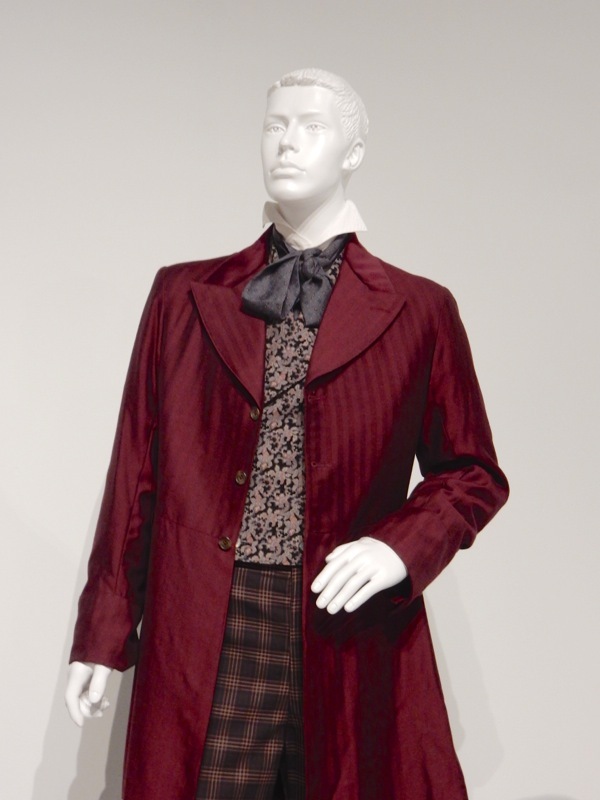 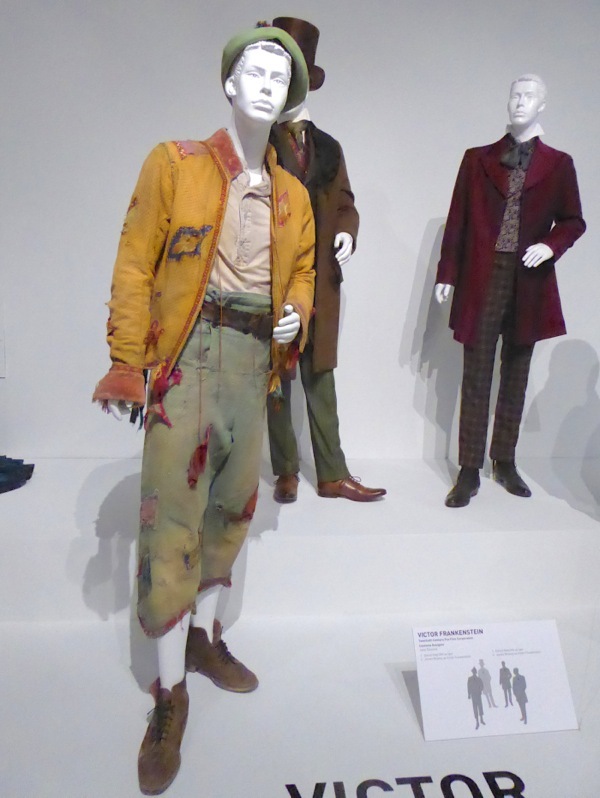 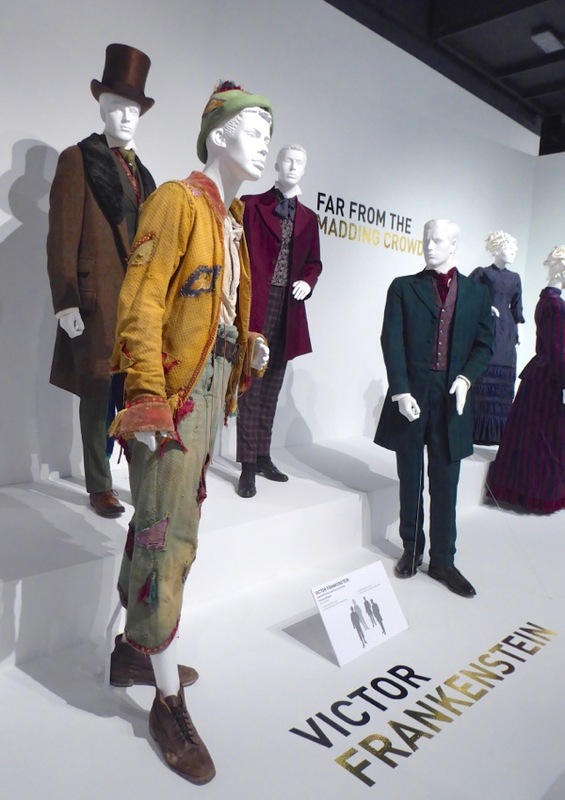 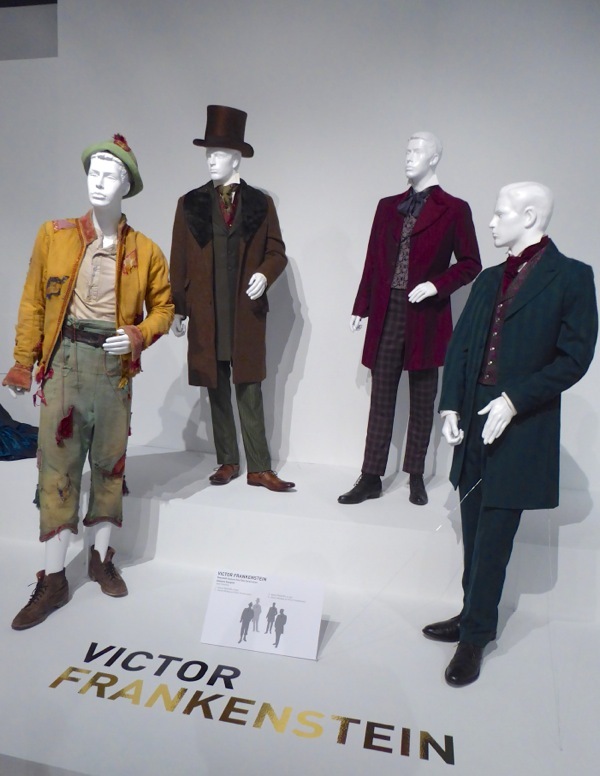 With X-Men: Apocalypse opening this weekend starring James McAvoy as 'Professor X', it seemed timely to showcase these movie costumes worn by the Scottish actor and by Daniel Radcliffe in 2015's Victor Frankenstein. 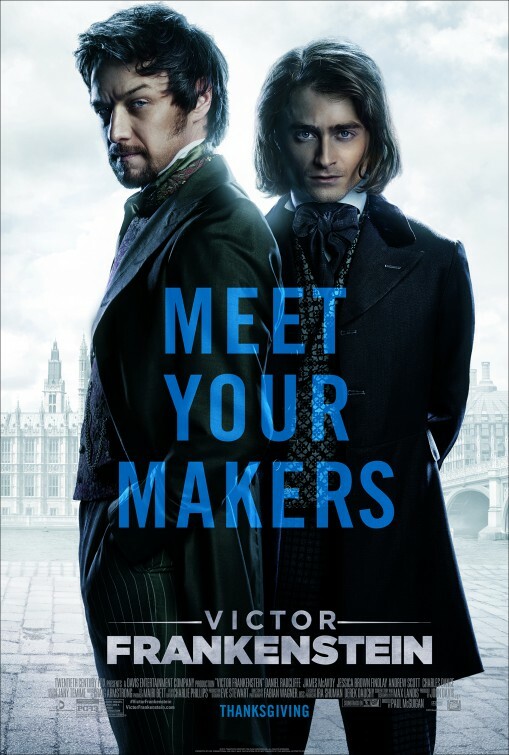 In a twist on the legendary tale about his monstrous experiments, this film tells the story of Mary Shelley's 'Victor Frankenstein' (McAvoy) from the perspective of his young assistant, 'Igor Strausman' (Daniel Radcliffe). 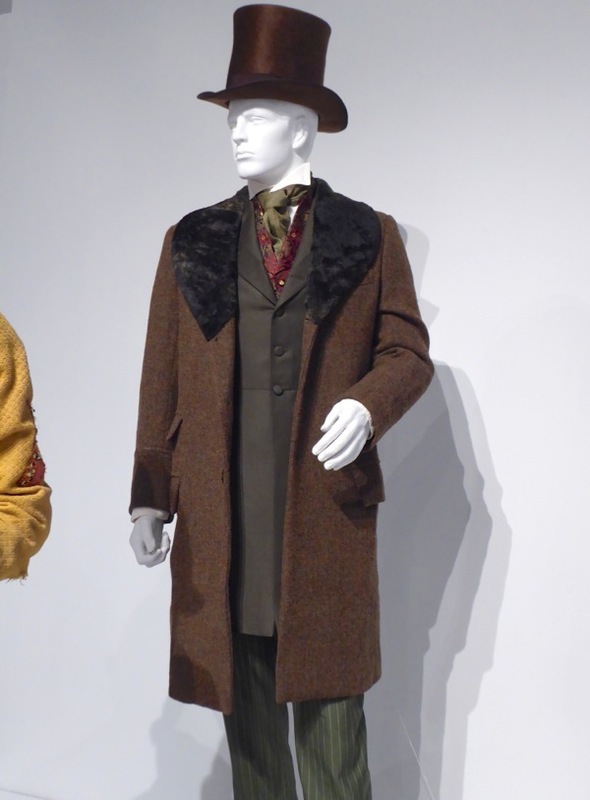 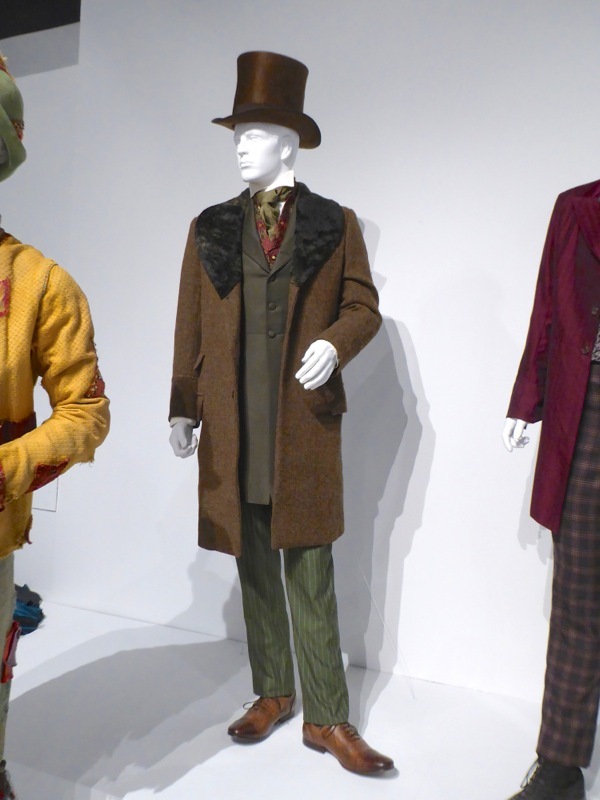 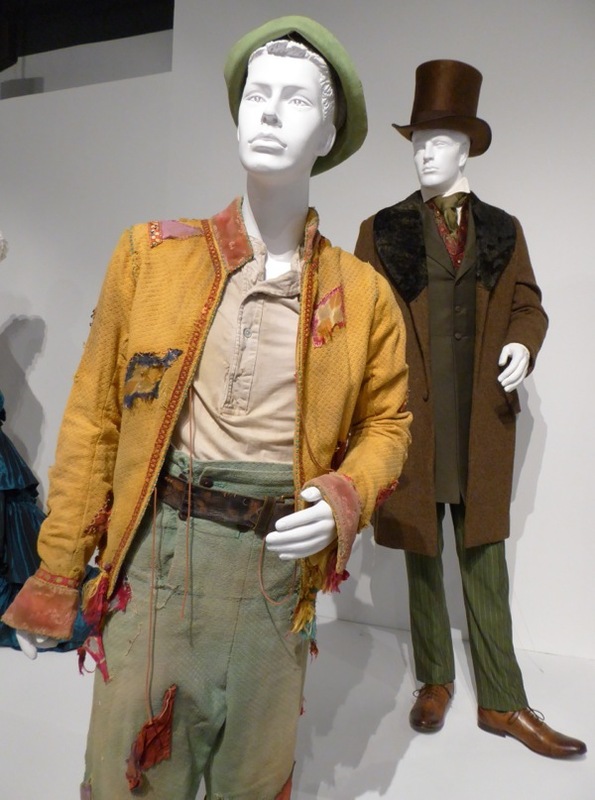 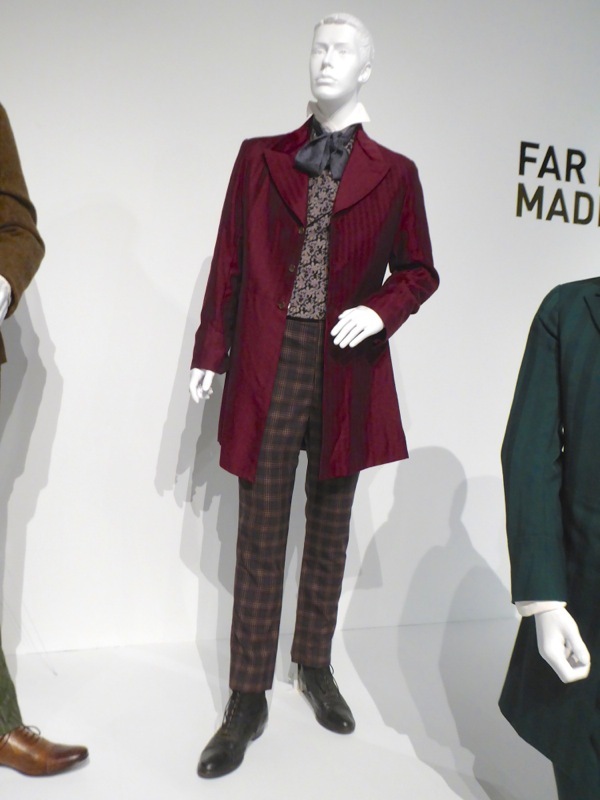 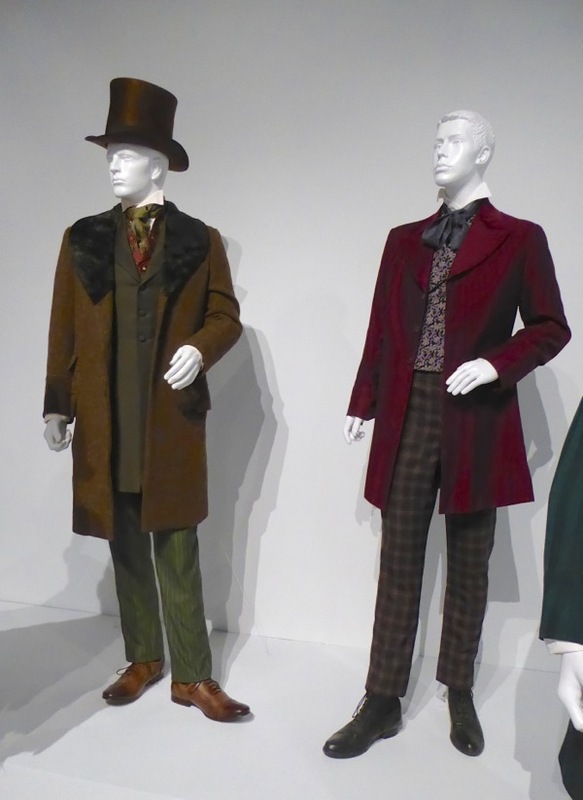 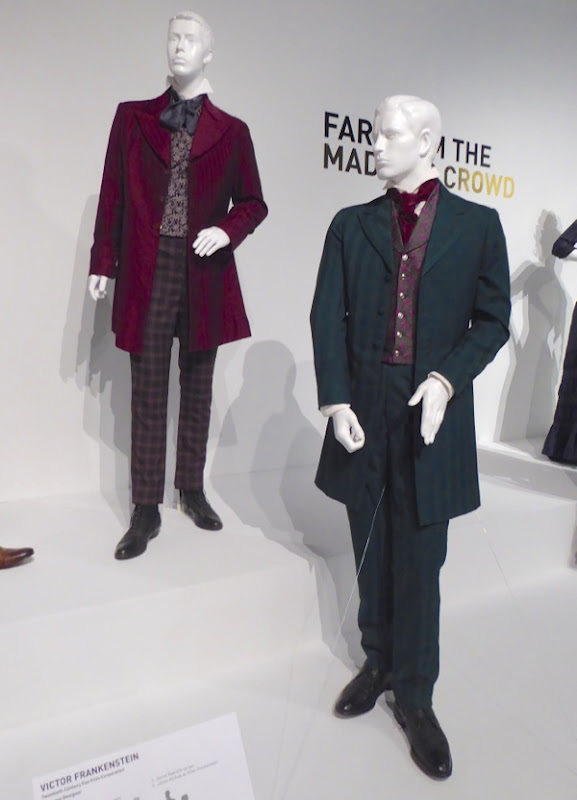 These Victorian era costumes were photographed on display at the FIDM Museum in Downtown L.A. on February 12, 2016 and were designed by Jany Temime. 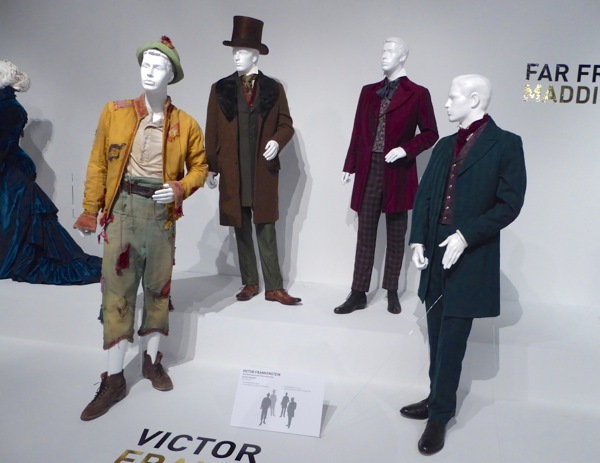 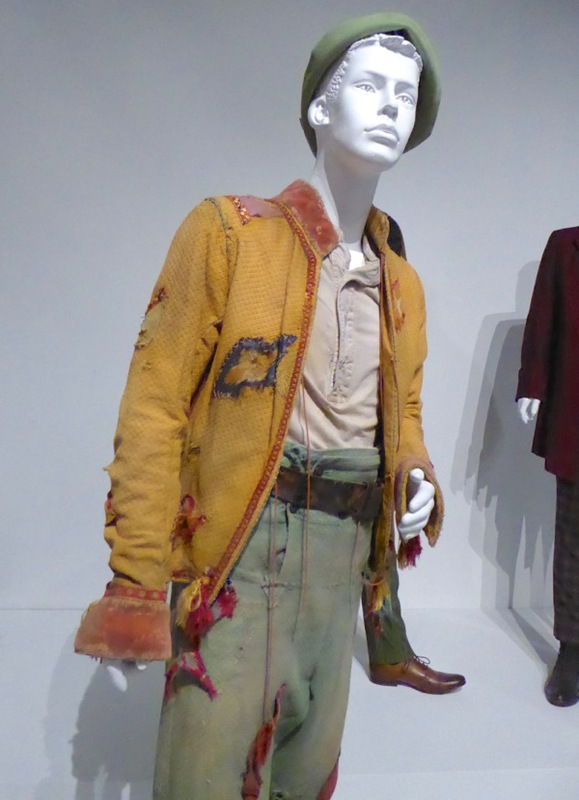 The Costume Designer worked on six of the Harry Potter films and you can also see her costumes in Bridget Jones: The Edge of Reason and Children of Men. 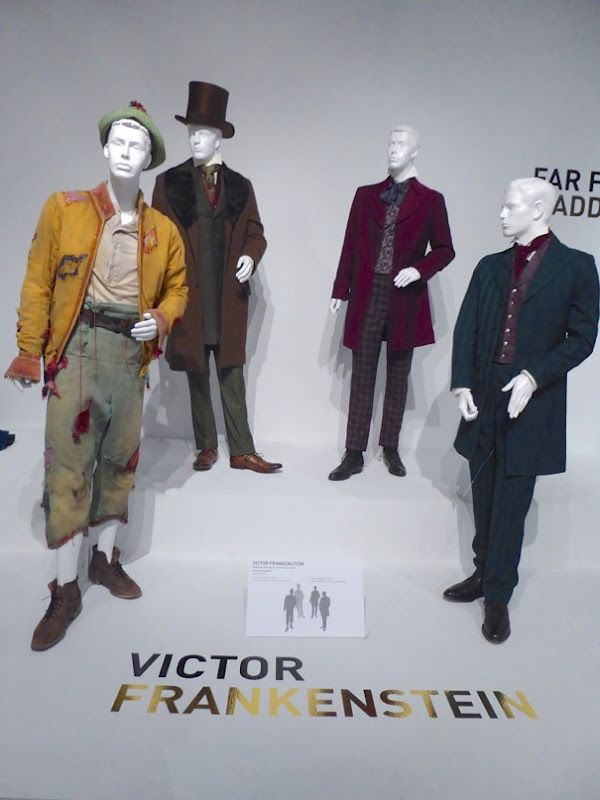 In the film the ambitious medical student Victor Frankenstein rescues a nameless hunchback from a London circus and names him 'Igor' after his deceased roommate. 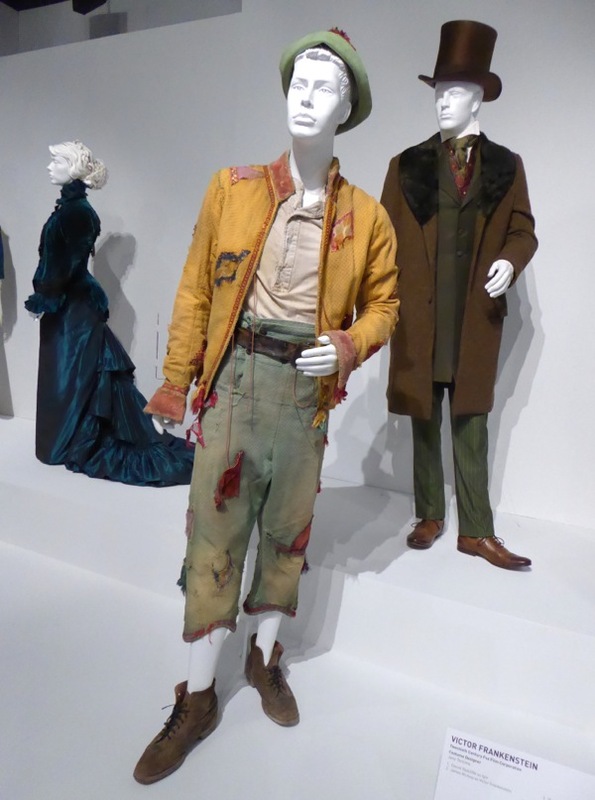 He drains his back cyst and creates a harness to help him with his posture and the two become partners in his unorthodox medical experiments. 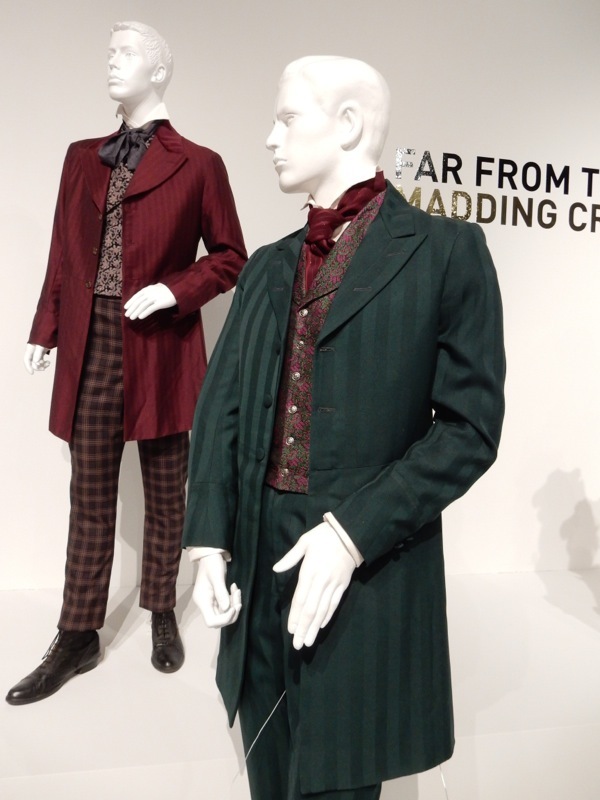 If you like the look of this time period, be sure to also check out these other Victorian period TV and movie costumes I've come across on my travels.